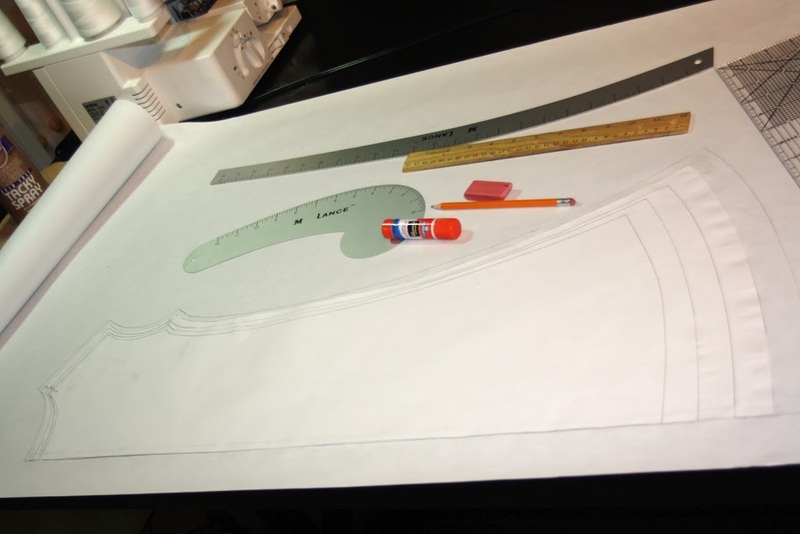 When working with sewing patterns, may it be that you make things from them or you may even make your own patterns, you know the importance of tracing a pattern! Paper patterns from the fabric store or home printed PDF patterns come most likely with “nested” sizing which means that there are tons of lines and shapes in the same area, all on one sheet of paper. 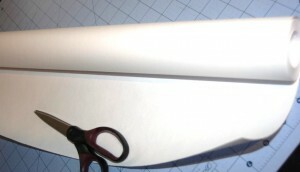 No problem to cut just one size out and throw the rest away but what if you are making ALL of the sizes? That’s right, you want to trace them onto other paper so you can actually save them for future uses. There are several different types of paper to trace them on such as wax paper, specific pattern tracing paper (which can end up being way more expensive than buying the same pattern over and over from the store, or printing the PDF over and over again but that’s also time consuming. So, not a good option). 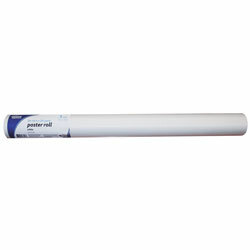 a> It’s called “poster roll” and boy does it have a lot of paper on it for only $10.49!! 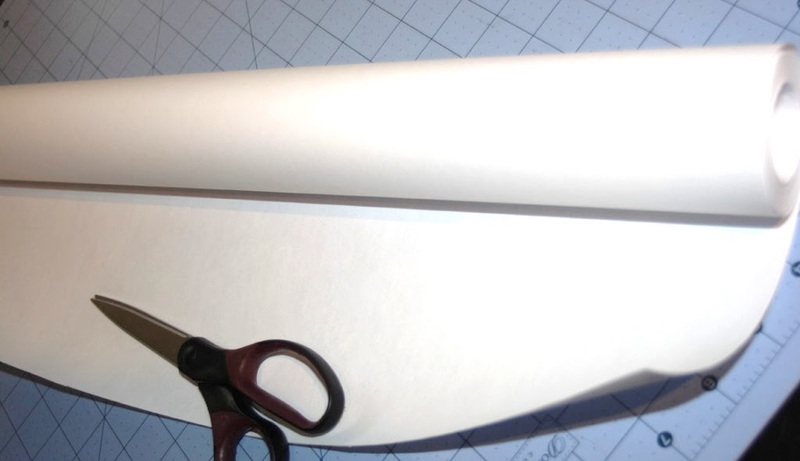 It measures 24 inches wide which is perfect for most kid sized sewing patterns (if you need it wider just tape two sheets together) and the total length is a whopping 25 yards!!! Here’s a snap shot of my work table and a pattern I am grading. YES! I grad manually with measuring, comparing, making errors, that’s why you’ll see a pencil and an eraser, ha! Bottomline, it’s perfect for really anything pattern related such as tracing patterns since it’s just transparent enough to see the original pattern lines through, drawing/drafting patterns or for our kiddos to doodle on! Happy sewing and creating, everyone!